The Strawberry Blond: It's Clay Time! Happy Friday my lovelies and Happy February! 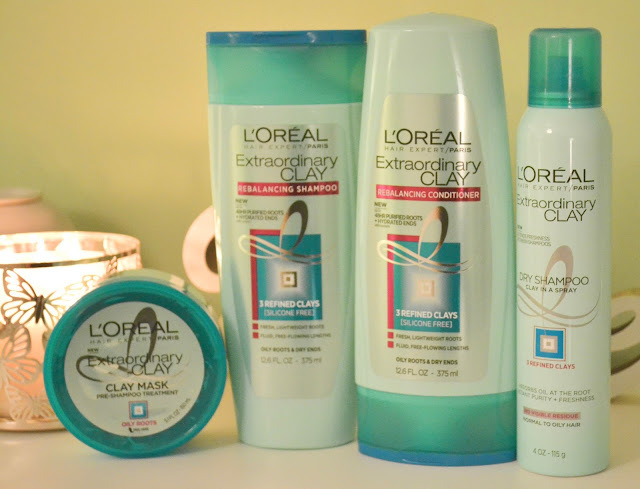 Today I am sharing with you a Brand New hair care system from L'oreal! I have mentioned a number of times in the past that I am very picky about my shampoo selections. I have fine hair and my roots get oily quickly. I have to wash my hair every day because my hair will look, smell and feel dirty if I don't. When I heard that L'oreal was coming out with a new range of products specifically designed to treat oily roots and dry ends, I knew I had to get my hands on it! 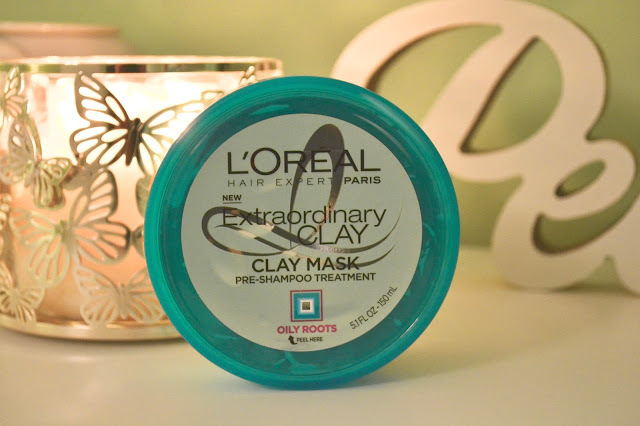 The Extraordinary Clay Hair Care line is formulated with three refined clays that help to purify oily roots while nourishing dry roots without weighing down your hair for up to 48 hours. 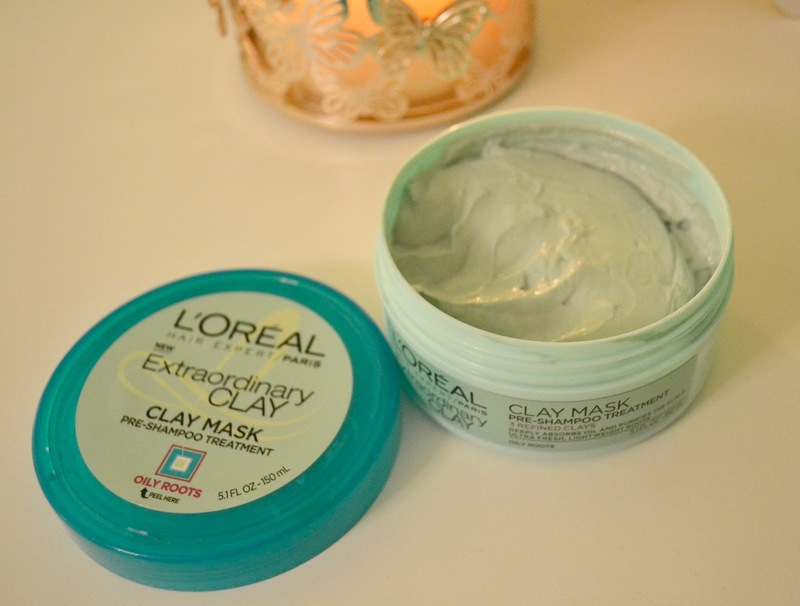 Clay Pre-Shampoo Mask- I love this mask! Its such a cool idea. I section off strips of my hair and apply the mask to my roots. I let it sit for five minutes and then get into the shower and gently massage it out of my hair under the warm water. Extraordinary Clay Shampoo- Time to clean! This shampoo helps to get rid of whatever leftover mask and clean away the dirt and oil fro my hair. 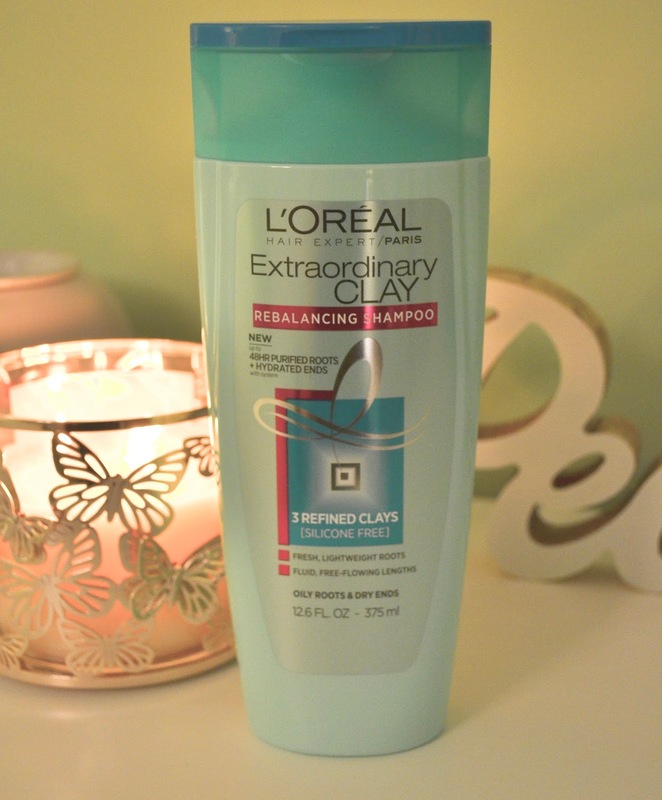 Extraordinary Clay Conditioner- Once my shampoo is raised off I apply the conditioner and let it sit for 1-3 minutes. 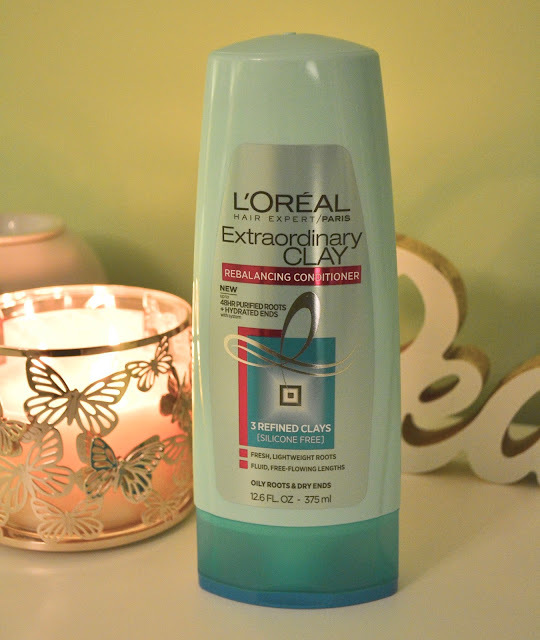 This makes my hair super smooth and shiny but not greasy and heavy at all! 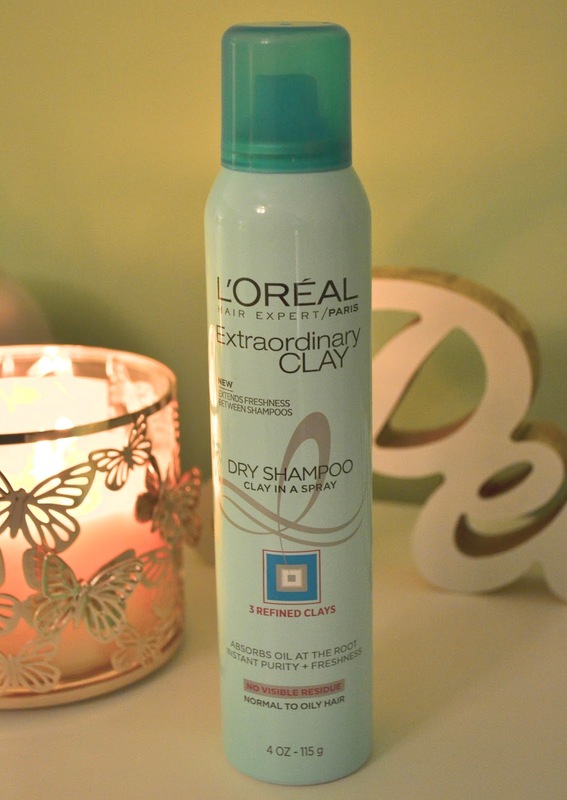 To help extend your hair style for up to 48 hours there is Clay Dry Shampoo which comes out clear so it won't leave a white cast on darker hair colors and won't dull lighter hair tones. I am a huge fan of this hair care system! If anyone has the same issue of oily roots and dry ends, I would highly recommend this Extraordinary Clay system. I hope you all have a great weekend! Enjoy the Super Bowl and I hope your team wins!